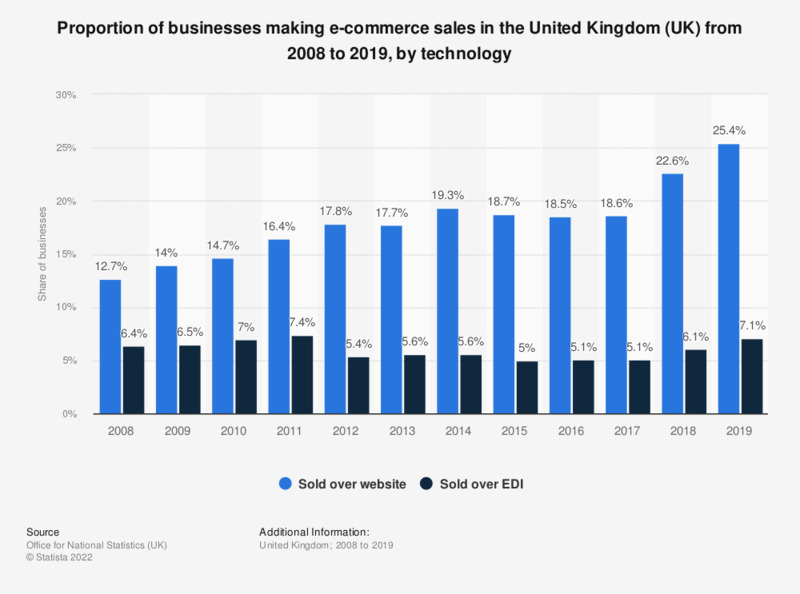 This statistic depicts the share of businesses making e-commerce sales in the United Kingdom (UK) from 2008 to 2016, by technology used. In 2016, 19.6 percent made online sales over a website. Use of a website to make sales increased from 12.7 percent in 2008.